Throughout the 1980s the major drive from British Rail and the Government was for customers to invest in their own equipment and facilities. Scrap traffic was no exception and some very successful private owner wagon types were produced. 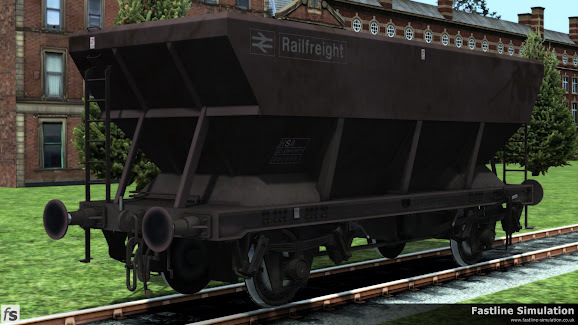 However, with the withdrawal of vacuum braked trains and hence the 16T mineral wagons that had been used there was a need for air braked wagons to carry scrap metal from scrap yards to processing plants. 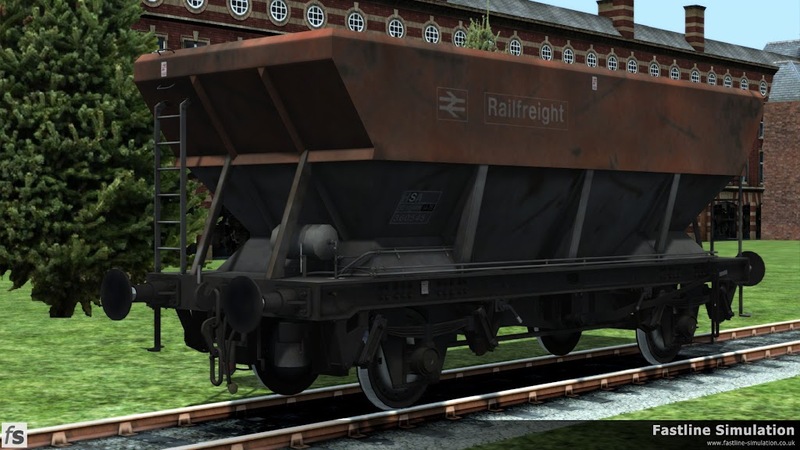 A quick and easy solution was the conversion of redundant HEA coal hoppers. This Train Simulator expansion features HSA scrap wagons converted from HEA coal hoppers in weathered maroon and Railfreight flame red and grey liveries.